The night show hosted by Guillermo “Pelado” López on Channel 9 (El Nueve) turned a hundred programs on air. On Friday October the 5th the entire team of Todo por hoy celebrated with a special dedicated to the first 100 emissions. The best talents that have been on the show since the premier had fun with the most distinguished guests that have shared our set. The most acclaimed games, that are present every night in Todo por hoy were the competition between talent and guests. The classic “Un chino” and “El corchazo” were the stars of this fun night led by “el Pelado”. 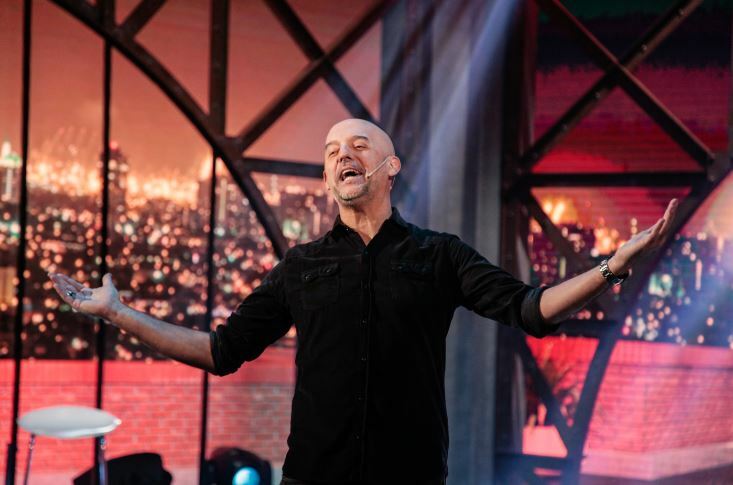 With the premise that the audience each night goes to sleep with a smile, the show celebrated its first 100 shows on air in the nights of channel 9 (El Nueve). “TODO POR HOY” WAS LAUNCHED AND CLOSED THE NIGHT WITH PURE TALENT AND FUN.